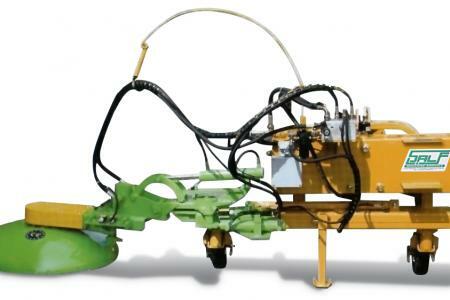 This new machine was conceived to solve quickly the problem of week cutting among the rows of trees without using any chemicals. The possibility to incline the blade disk from +90° to -60° makes it absolutely necessary in the maintenance of road edges and side ditches. It can operate by means of a hydraulic sensor with indipendent pump and tank or by means of a spring retraction device using the tractor oil only.